No-one wants to travel in baggy hiking bottoms. 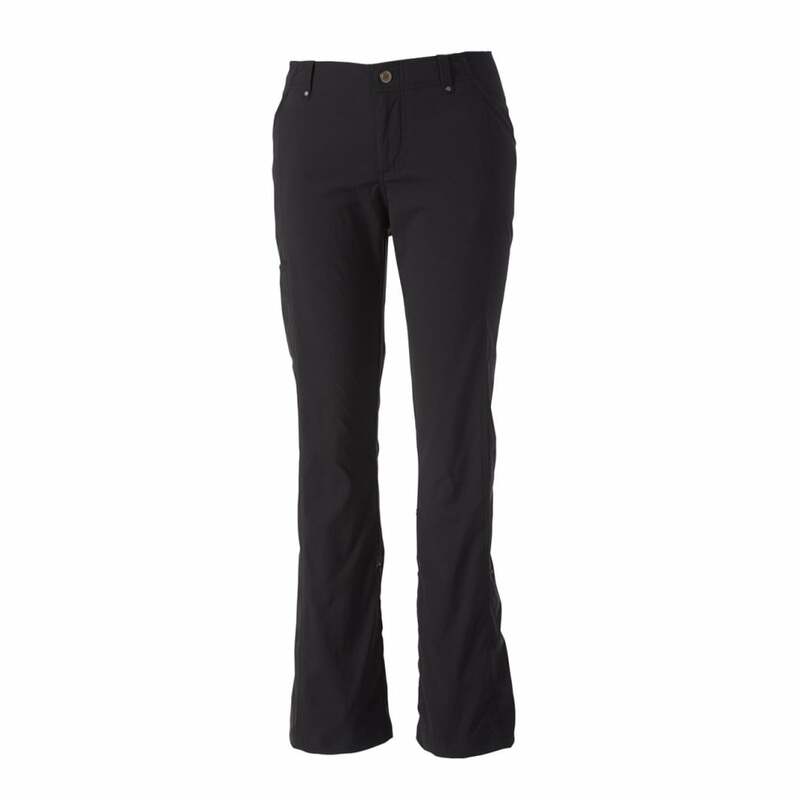 They may be OK for the mountain, but a good pair of travel trousers needs look good as well. After all, they’re as likely to be worn to a city bar as a lonely summit. Cue the Royal Robbins Discovery Roll-ups for women. Made from a soft-feel stretch Nylon/Spandex fabric that can guard against UPF 50+, the Discovery Roll-ups are straight leg, but with the added bonus that the legs can be rolled-up – and secured using poppers on tabs – to make them 3/4 length. That’s handy on a muddy hike, or on a beach. There’s one leg pocket clearly designed for a phone, but since it’s guarded only by a popper, it’s not very secure. A phone is best put in an interior pocket inside one of the hip mesh pockets, though here there’s even less security – the so-called front coin pocket is open to the elements. However, there are two rear pockets that are both secured by zips, and they’re also concealed rather well, which makes them great for storing a passport, cash and cards. Even better, worn during the rain, the Discovery Roll-ups dried quickly and we were able to wear them for the rest of the day. But the best bit is a soft waistband, which makes them just that little bit more luxurious. However, we did have a few problems with the advertised size. Although the review sample we tried was a US size 6/UK 10/France 38 – that’s 27.5-inches waist – we measured them manually at 32-inches, which is strange. No matter – choose wisely and the Discovery Roll-ups are among the most versatile women’s travel pant yet.